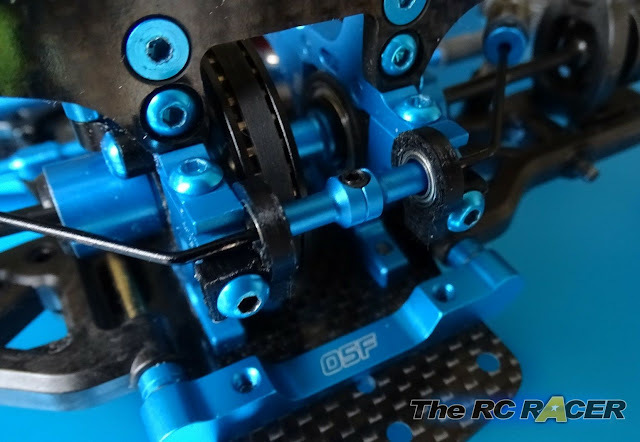 Over the last few months some of TheRCRACER TRF drivers have been running some new option parts that we have been developing. Once of which are these new smooth sway bar bearing mounts. 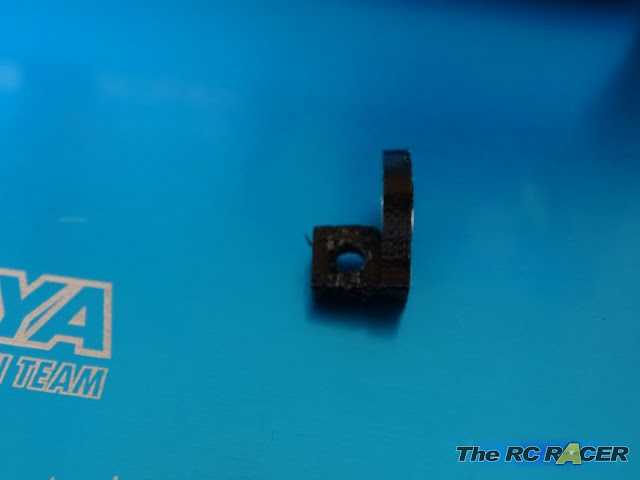 These are a simple replacement part for your existing plastic mounts. They just give you a smooth sway bar action when setting up your car. They are available here from Shapeways. Obviously these are pretty simple to install. Just follow the instructions below. 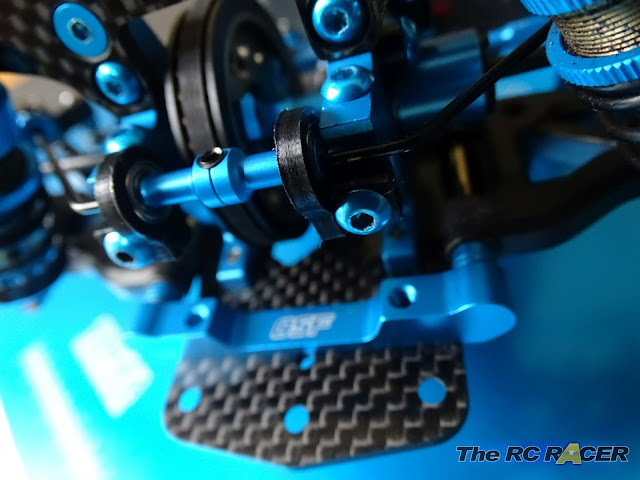 2 - Sets of ultra smooth sway mounts mounts. The ultra smooth mounts come as a pair. there is a plastic sprue that connects them both. You just need to trim it off. 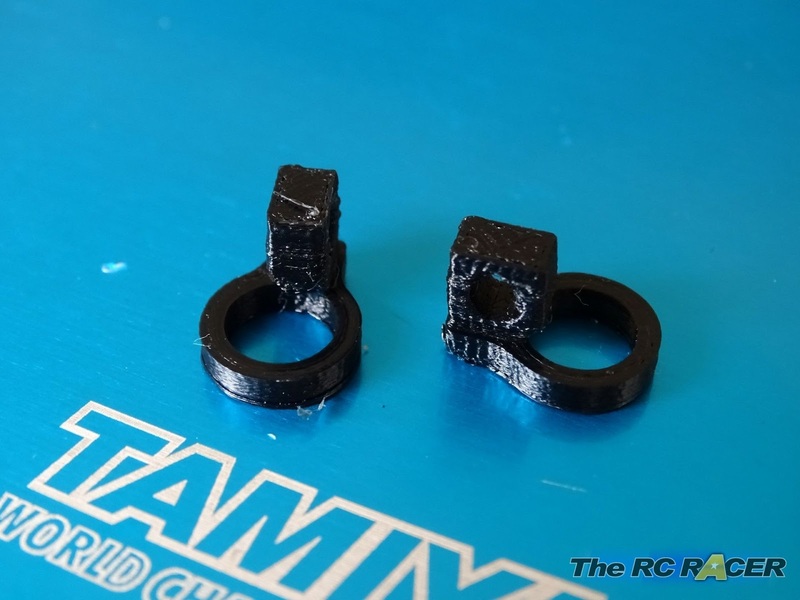 Also you should clean the part as 3D printing can leave dust etc in the nooks and crannies. The parts once cleaned up now need the bearings to be mounted. The holes are a little larger than 7mm to ensure that the bearings will fit snugly but not move. I used a pair of pliers to squeeze them in. If you cannot get them in, then check that there is no debris in there, and also add a little grease. 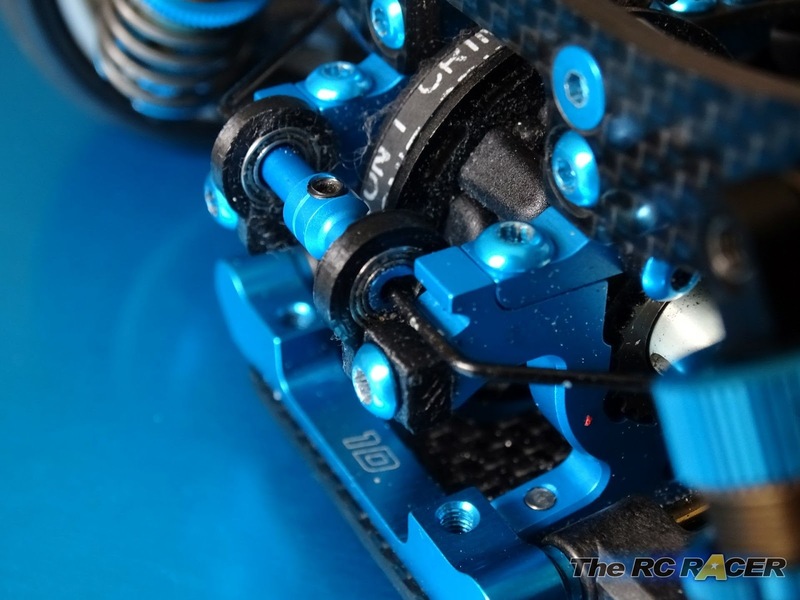 When you mount the bearings ensure that they are mounted straight into the bearing holder. With the bearings mounted you can fit the sway bar central mount. It is 4mm so it is a perfect fit. You now simply need to attach the mounts to the bulkheads with the 8mm screws. 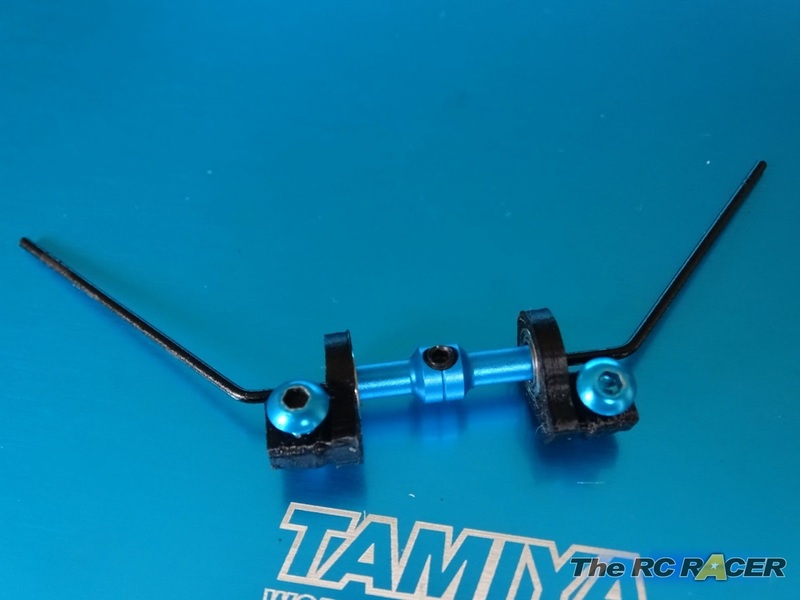 When fitting these you want to ensure they are aligned and that the sway bar falls smoothly under it's own weight. 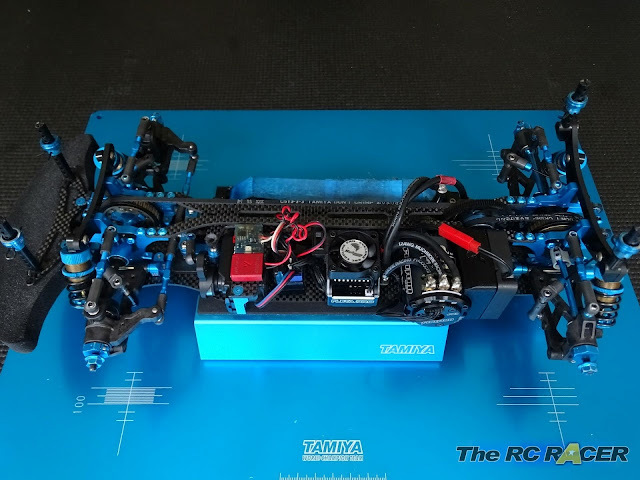 Floating steering (optional top plate), bearing sway mounts, cut upper deck and a cool running motor. That will do until I get the TRF419XR. If you would like to try out these parts, then they are available from the Shapeways shop here. Why not get one of the very popular fan boosters when you are there as well. 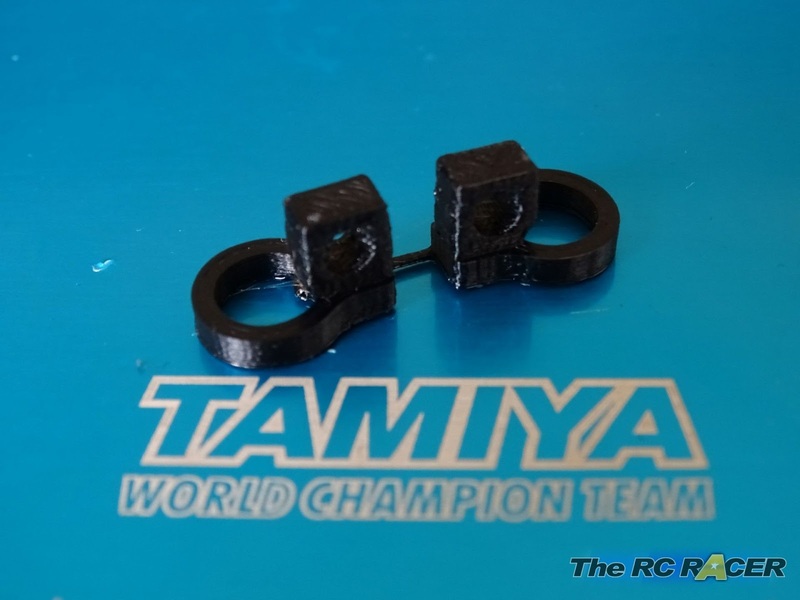 These have been made as a contribution to the Tamiya TRF racing community. These are just a tuning aid, I and others have found them to work well. Every track / driving style is different so do not expect a golden bullet. Thanks to the drivers that have given me feedback and have tested these parts on their cars.